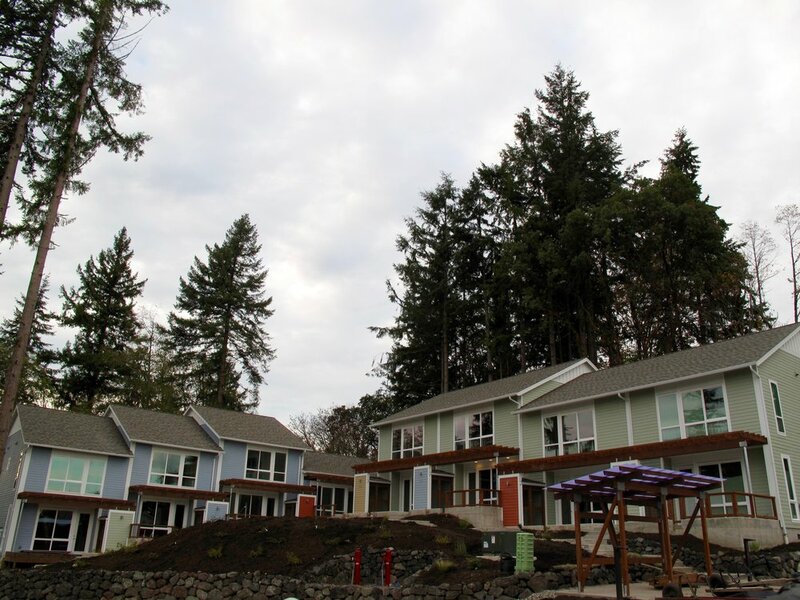 Clark Construction LLC was the builder of Phase II of Ferncliff illage, consisting of 16 townhomes in 4 separate buildings, added to the existing community. Featuring stunning views and located just a short walk from the ferry terminal and downtown Winslow, the Ferncliff Village Townhomes make the homebuyers’ dreams of affordable Bainbridge Living a reality. The homes were built to Washington Evergreen Standards and were constructed on an extremely tight budget.